Ergonomic chairs have tools that keep the spine straight and the neck supported. A desk chair should support a person's posture while they work. Ergonomics is essentially the practice of designing equipment that reduces stress or injury on the body, usually in workplace settings. An ergonomic posture is one that keeps the body stress free and correctly aligned, and sitting or standing for long periods of time can prevent an ergonomic posture. To attain a more ergonomic posture, someone should be aware of the way he or she is sitting, how long he or she is sitting or standing throughout the day, and the common causes of back pain and discomfort that may be stemming from a position that is not ergonomic posture. 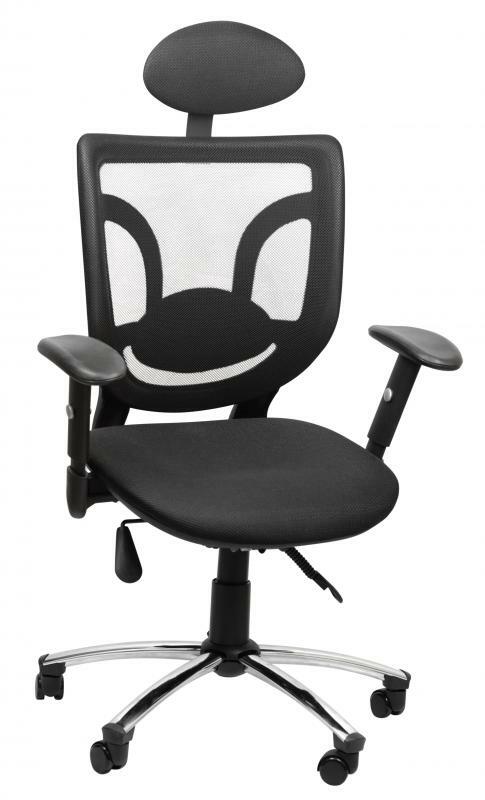 Ergonomic desk chairs are a good way to promote ergonomic posture, especially if the user is sitting for long periods of time. Ergonomic chairs feature tools that keep the spine straight and the neck supported. Sitting up straight in such a chair can improve posture and alleviate pain, but the most important tip for getting the most out of an ergonomic chair is to get out of it and walk around periodically. 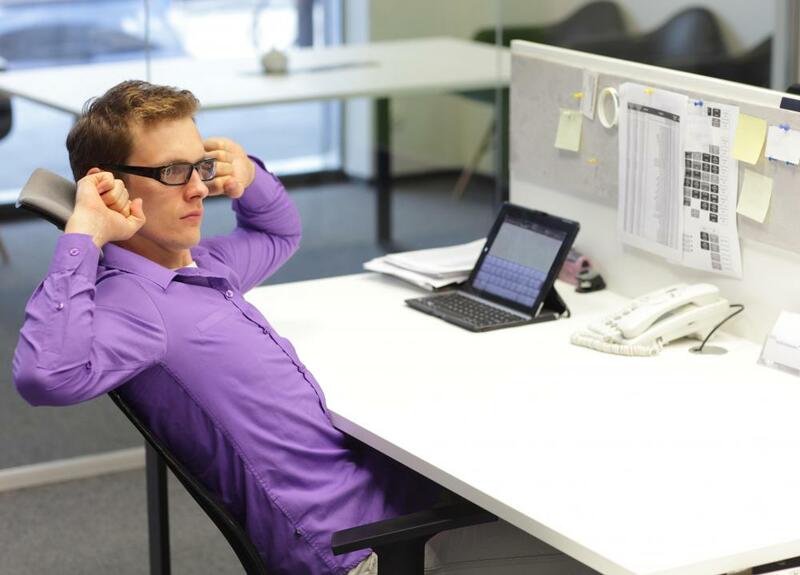 The longer the body stays in a sitting position, the more tired the muscles will get, causing posture to suffer. It is important to get up after several minutes of sitting to improve blood flow and stretch out muscles. A stability ball is a good alternative to the typical desk chair, as it forces the body to engage core muscles and keep the spine straight. A stability ball can also be used for a core workout that will help improve ergonomic posture. A sedentary lifestyle can lead to muscles being underused, and the core muscles — the abs, hips, groin, and lower back — will become weak without appropriate use. These muscles support the back, which means if they are weak, the spine may not be adequately supported. A stability ball can be used to execute numerous core strengthening exercises, making it a multi-use tool for the home or office. Ergonomic posture is not just important when sitting. One should pay attention to his or her posture when walking, lifting, twisting, or participating in athletic activities. Injuries are most likely to occur when one is in motion, and they are more likely without good ergonomic posture. One should pay attention to the way his or her body moves and be sure to support the spine and keep the shoulders square. Finally, it is important not to overstress his or her posture; the muscles of the body should be relaxed most of the time, and strained muscles will lead to discomfort or pain. What Causes Pain When Sitting? What is the Importance of Proper Posture? How do I Maintain Good Posture at the Office? What is the Best Walking Posture?